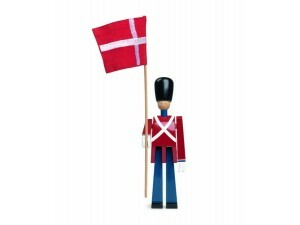 Standard Bearer with Textile Flag, new edition. 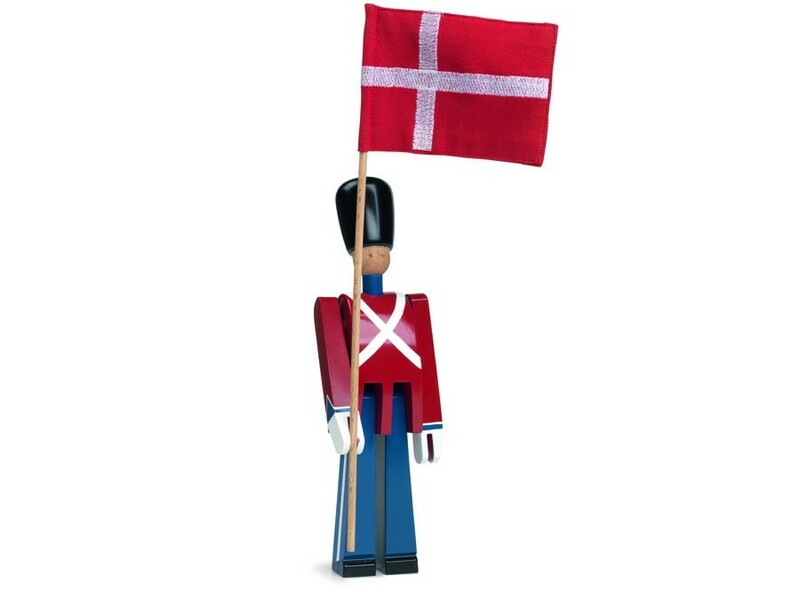 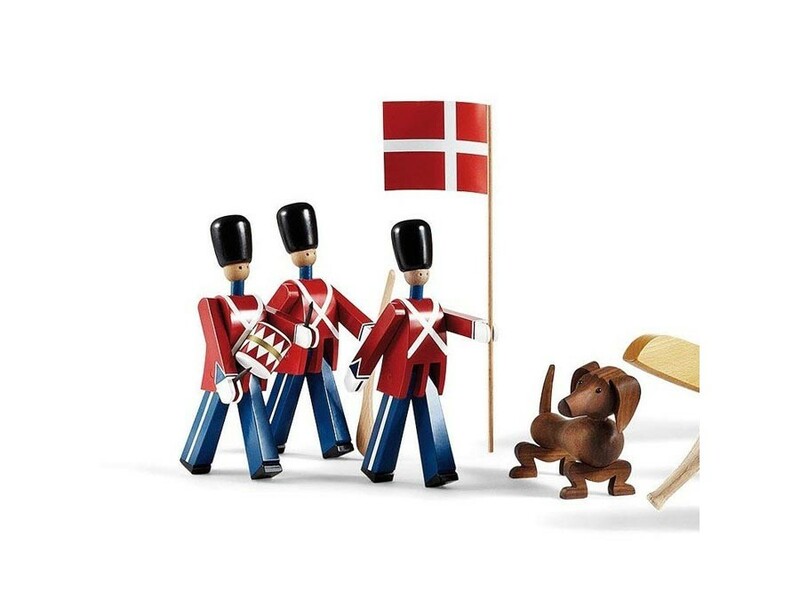 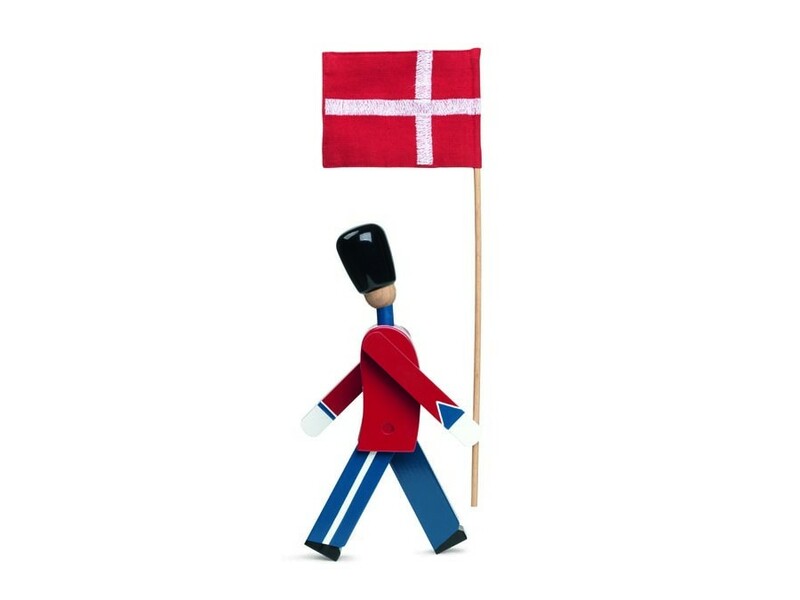 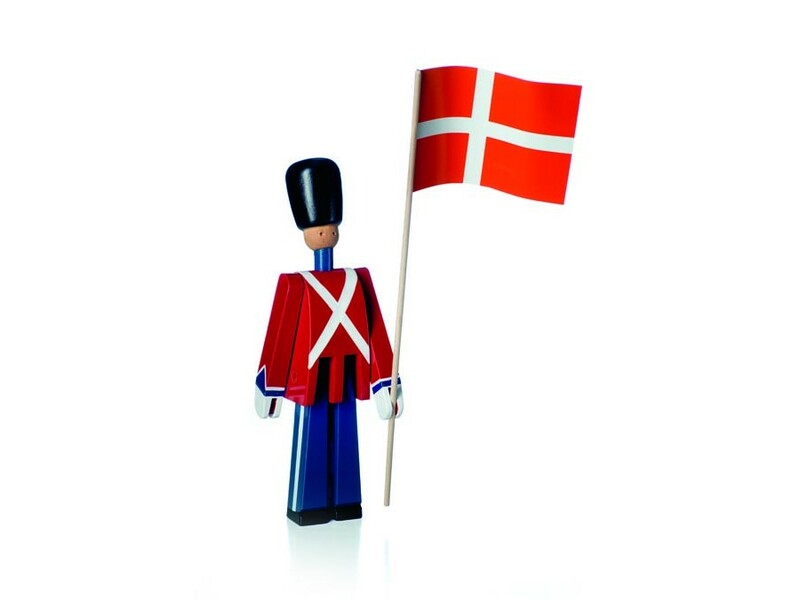 Standard Bearer with Textile Flag in painted beech and cotton from Kay Bojesen Denmark. 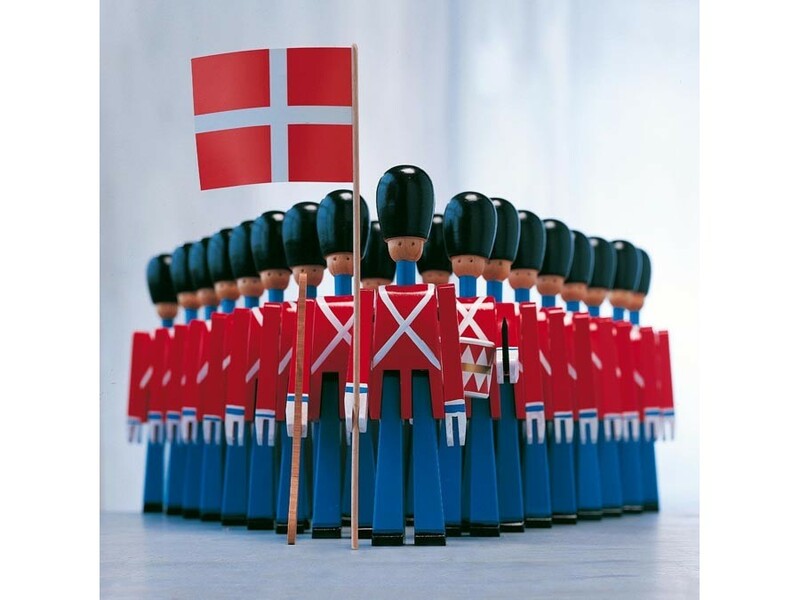 Colour: red/blue. H: 22 cm. 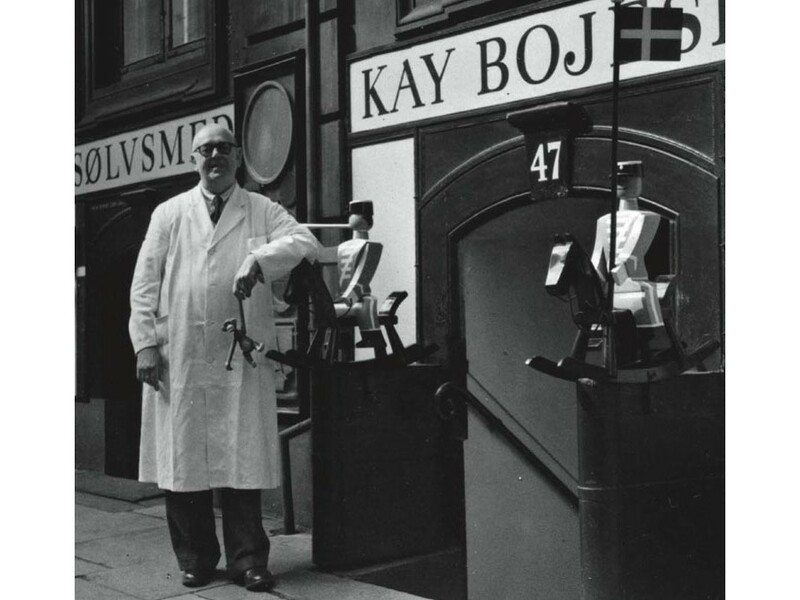 Design: Kay Bojesen.